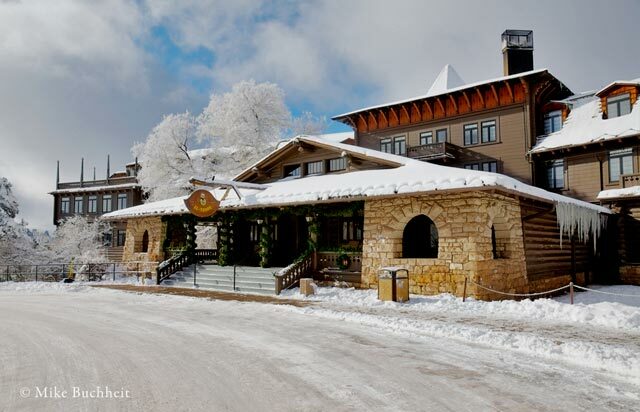 If you are headed to Grand Canyon National Park during the winter holiday season, be sure to steer your sleigh towards the El Tovar Hotel. One of the grand lodges of the West, this 1905-vintage structure has anchored the Historic Village District of the South Rim since shortly after the train first chugged into town in 1901. A must see any time of year, the El Tovar Hotel is especially cozy during the run-up to Christmas, including a lobby full of decorations and an impressive tree that reaches to the second floor rafters. As always, dinner reservations are required, and can be secured by calling the Xanterra South Rim, LLC, switchboard at (928) 638-2631. A good fall back plan is enjoying the views of a frosty canyon from the lounge while enjoying your favorite hot drink. Room reservations are a hot ticket, but you might get lucky by checking availability at www.xanterra.com. Whether you’ve been naughty or nice this year, you deserve to make Grand Canyon part of your holiday tradition.